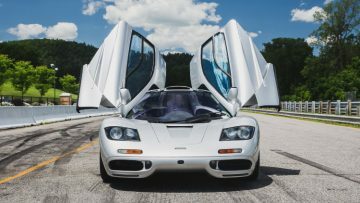 A 1995 McLaren F1 sold for a marque record $15,620,000 as the top result at the Bonhams Quail Lodge sale during the Monterey Week 2017 classic car auction. 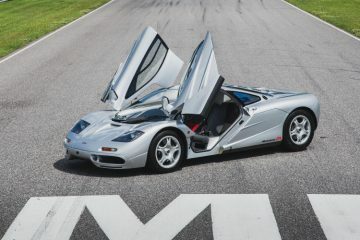 Bonhams achieved a new marque world record price of $15,620,000 for a 1995 McLaren F1 as the highest price paid for a car at the Quail Lodge 2017 sale during the annual Monterey Week in California, USA. 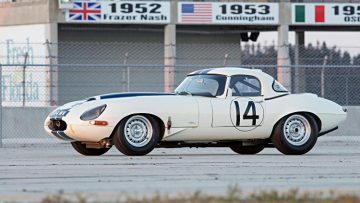 However, the overall auction result was rather mixed with several high profile cars, including the much-lauded ex-Team Cunningham Jaguar E-Type Lighweight, failing to clear the reserve margins. (The Jaguar E-Type was sold later for $8 million.) Several cars in the below $500,000 limits sold well in excess of pre-sale estimates while cars around a million dollar seem to struggle. Nine cars, including five Ferraris, sold for more than a million dollar. The 20th Bonhams Quail Lodge Auction was held on Friday, August 18, 2017, at Quail Lodge in Carmel, California. Bonhams earned $56,430,000 with a sell-through rate of 80% of the 105 cars on offer. In 2016, Bonhams’ top result at Quail Lodge was $4,000,000 for a 1931 Bugatti Type 51 Grand Prix Racing Two Seater but the Quail Lodge, Monterey Week and world auction record was set in 2014 when the 1962/3 Ferrari 250 GTO sold for $38,115,000 as the most-expensive car ever sold at public auction. *Post block deal later announced. A 1995 McLaren F1 sold for a new marque record $15,620,000 as the top result achieved at the Bonhams Quail Lodge 2017 sale. 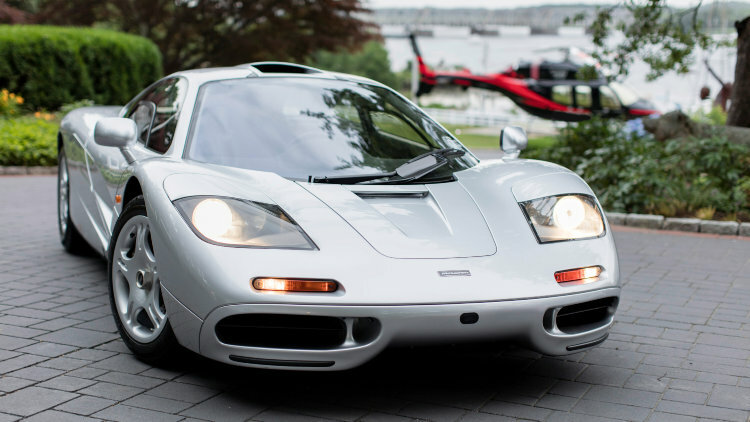 The previous marque record was $13,750,000 paid for a 1998 McLaren F1 with Le Mans Specification at the RM Sotheby’s Monterey 2015 sale. The 1995 McLaren F1 sold by Bonhams was the 44th of only 64 cars ever produced. It was the first F1 imported and fully federalized in the USA. This McLaren F1 with only 9,600 miles on the clock was sold by its original first owner and in contrast to many other F1s, this McLaren is fully original without later factory performance updates. In accepting this offer after refusing the higher bid during the auction meant the seller in effect lost a million dollar on the deal. 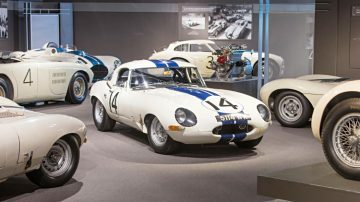 With no published estimate it is hard to determine what the seller was expecting but the highest bid was higher than the model record $7,370,000 set for a 1963 Jaguar E-Type Lightweight at the Bonhams Scottsdale 2017 auction. If the highest bid was accepted, it would have been (briefly) the most-expensive car sold thus far in 2017. This year’s Monterey Week auctions saw eight Ferrari 275 GTBs in various forms on offer with Bonhams offering two – both sold. The 1965 Ferrari 275 GTB Alloy Long Nose sold just above estimate for $3,080,000, as the second highest result at Quail Lodge 2017. This car was used for test purposes by Ferrari to compete in the Monte Carlo Rally. Bonhams’ third highest result was for the more standard 1967 Ferrari 275 GTB/4 that achieved $2,519,000 – just within the lower estimate range. A black 2003 Ferrari Enzo sold for a good, if unspectacular, $2,040,5000 at the Bonhams Monterey Week 2017 auction. This Enzo is one of only two finished in Nero/Cuio. A 1990 Ferrari F40 sold for $1,457,500 at the Bonhams Quail Lodge 2017 auction. This was well above the pre-sale estimate of $1,000,000 to 1,300,000 reflecting the relatively low 2,100 mileage of the US specification car. A 1956 Ferrari 250 GT Berlinetta sold for $1,133,000 as the fifth Ferrari achieving a million dollar at the Bonhams 2017 Quail Lodge sale. The car was raced a few times in period in the USA and is eligible for the Mille Miglia storico. A 1955 Lancia Aurelia B24S Spider America sold for $1,265,000 at the Bonhams Quail Lodge 2017 auction. This was a good $900,000 more than a standard 1958 Lancia Aurelia B24S Cabriolet achieved in the same auction. Both results were near lower estimate. A 1964 Shelby Cobra 289 sold for $1,089,000 as the most-expensive American car in the 2017 Bonhams Quail Lodge auction. A 1966 Shelby 427 Cobra attracted an unsuccessful highest bid of $1,360,000. Two Mercedes Benz cars just missed the million-dollar mark: a 1941 Mercedes Benz 540K Cabriolet and a 1955 Mercedes Benz 300 SL Gullwing coupe. Neither car was top of the range and both sold just within lower estimate. A 1957 Mercedes Benz 300 SL Roadster failed to sell with an unsuccessful highest bid of $880,000. With eight 300 SL models on offer during Monterey Week, buyers and sellers may have a better indication where the market for these popular cars is heading, although after the Bonhams and first Gooding sales the picture may be even more confusing than before. *The Jaguar was sold post block for $8,000,000 premium included. The most noticeable failure at the Bonhams Quail Lodge 2017 was the unsuccessful highest bid of $8.2 million for the ex-Team Cunningham 1963 Jaguar E-Type Lightweight. Bonhams announced later that the car was sold for $8,000,000 premium included in a post block deal. Bidding for the 1956 Maserati 300S Racing Two-Seater driven to victories by Juan Manuel Fangio stopped short around a million below the estimate of $6,000,000 to $7,000,000. The 1980 Ferrari 312 T5 Single Seater Formula 1, Chassis no. 046, campaigned with limited success by Jody Scheckter in his world championship defending season attracted an unsuccessful highest bid of $2.4 million – a late 1970s car might have been more attractive. One of the most interesting results at the Bonhams auction was $77,000 for a 1961 Porsche Junior L108 tractor – well above the $45,000 to $60,000 presale estimate. Farmers worldwide must be checking their barns.